‘Hey, can you give me a hand serving this punch.’ Yeah, that’s just one of the great puns you’ll get to make when serving up Solo’s Zombie Punch. So how do you create the hand? 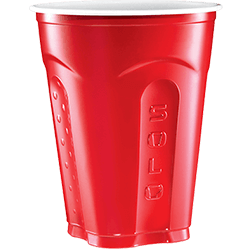 Start by either coloring a cup of water with green food coloring or using a green sports drink (just remember, this option will influence the flavor of your punch). Now, fill a plastic cleaning glove with your green water, tie off the end of the glove and place it in the freezer. 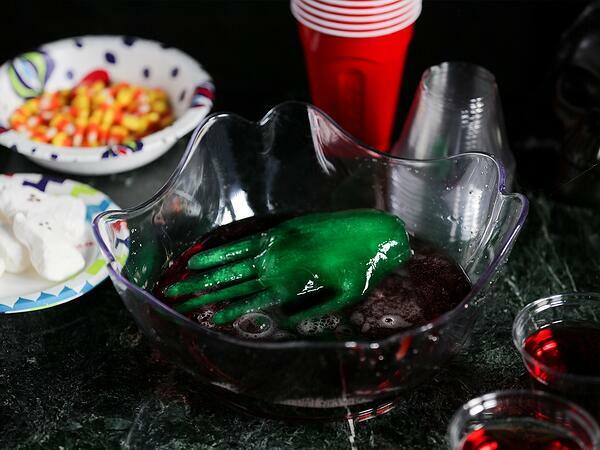 Once frozen, use a pair of scissors to cut off the glove and voila… the green hand for your zombie punch! Muddle fresh cherries in a Solo Paper Bowl. Combine the remaining ingredients in a punch bowl. Top with your muddled cherries. Serves 12. Looking for other frightfully fun Halloween party ideas? Check out our guide to Halloween treats and eats.